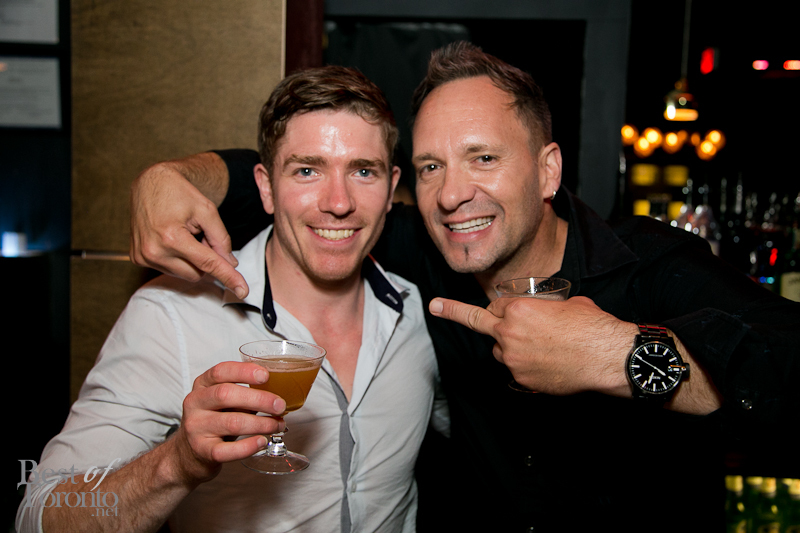 I was lucky to be invited to join in on the celebrations of Simon Hooper‘s recent win as Toronto’s finalist in The Mixing Star, Disaronno’s global bartending competition. Afterwards he would head off to compete in the international finals in Amsterdam. Also coming to celebrate his victory that evening was Kevin Brauch, the one and only Thirsty Traveler. Meanwhile Simon Hooper was busy doing what he does best for us that evening, making Disaronno cocktails. 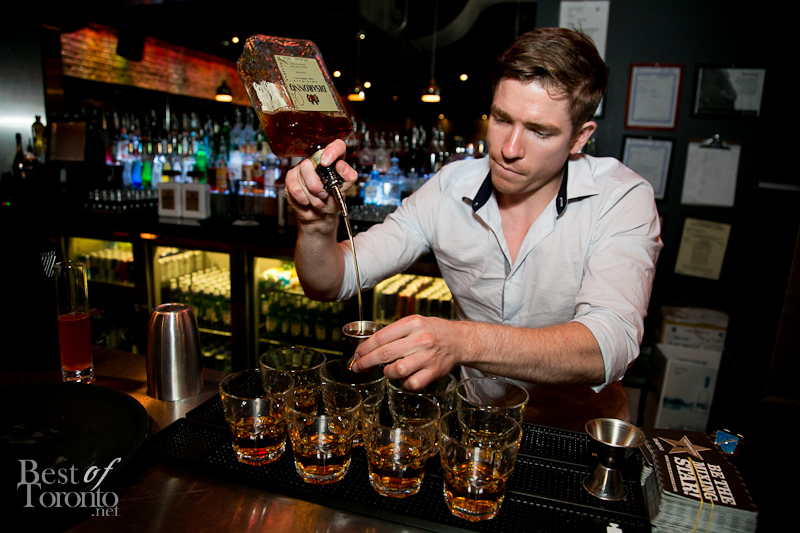 Fine drinks were enjoyed over a 3 course meal from Bloke & 4th. For the first course I chose the lighter Caesar salad over the choice of a heartier pulled smoked chicken soup. I usually don’t like Caesar salads but it’s the ingredients that make it stand apart including candied tomato and grana padano cheese. Croutons and crispy bacon are a must, of course. 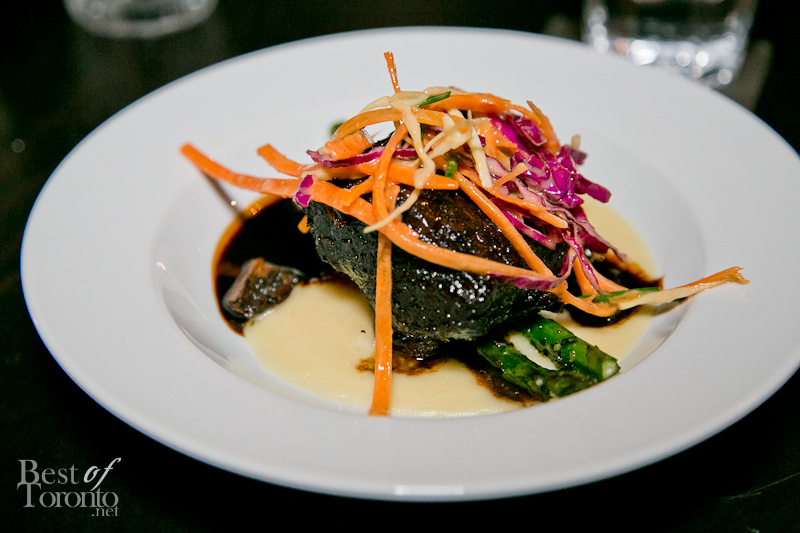 For the main course I just had to go for the 12 hour braised short ribs and although the dish wasn’t being very photogenic for me, it was definitely tender and with the melt-in-your-mouth texture as one would expect from braised short ribs. 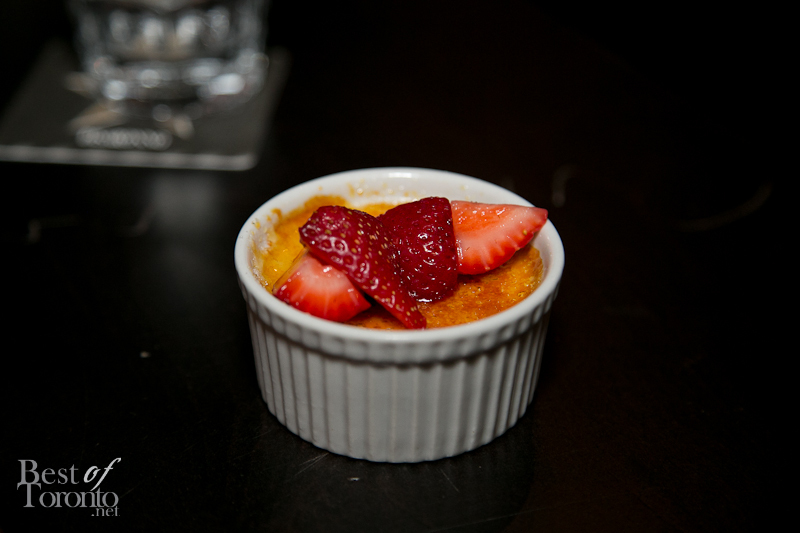 The meal was finished off with a Disaronno creme brulee with fresh strawberries. 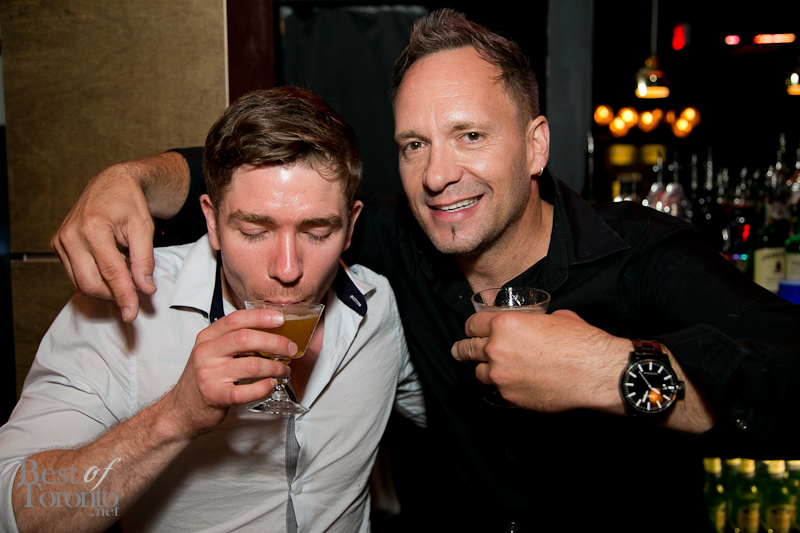 So if you thought Bloke & 4th was just another night club, definitely think again because the kitchen is run by The Food Dudes, one of Toronto’s favourite caterers. (Check out our photos from their food truck launch here). Looking forward to dinner at Bloke & 4th again soon! Check out the official video showing the Best of the Mixing Star 2013 competition from countries all around the world. Toronto’s own Simon Hooper is there at the 3:48 mark. Congrats to Tess Posthumus. She wins a trip to the Venice Film Festival. Here is Tess Posthumus’ Disaronno cocktail of this year. 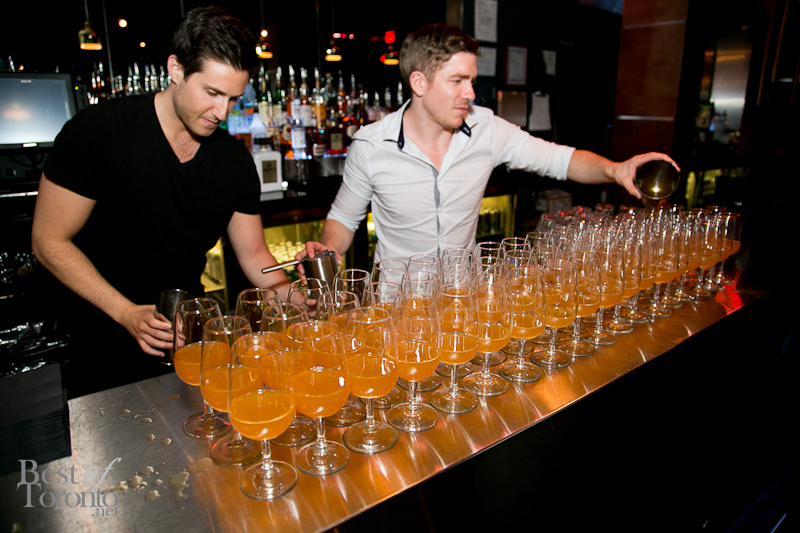 This is what it takes to win this international bartending competition!